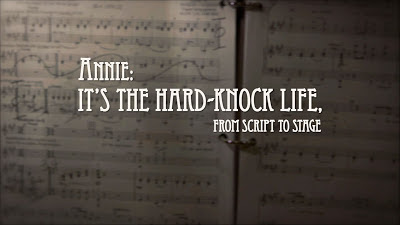 StageBuzz.com: "Annie: It's the Hard Knock Life, From Script to Stage"
"Annie: It's the Hard Knock Life, From Script to Stage"
John Godfrey Saxe once talked about laws and sausages and how it's best never to see how either is made. Now me, I find such things fascinating. 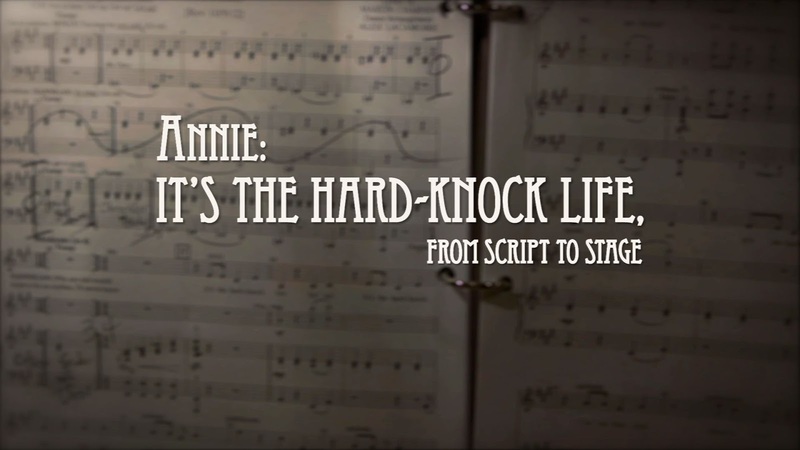 That's why I really enjoyed the behind the scenes look at the recent revival of Annie provided by "Annie: It's the Hard Knock Life, From Script to Stage." This documentary shows the ups and downs of bringing a show to Broadway, from the planning stages, through auditions and casting, rehearsals and tech, all the way to opening. The parts that were the most interesting to me were those involving the kids and the rehearsal process. The way that a group of kids from all over the country and with varied backgrounds managed to bond. The difficulties they had involving the choreography and learning the lines. I was amazed at the professionalism of the children, and watching the adults demand excellence while having to be careful of the children's feelings. If you don't mind seeing how the sausage is made, and you'd like a little peek behind the scenes, this is an entertaining way to see how a big Broadway musical comes to life. And for a limited time, you can watch it online.